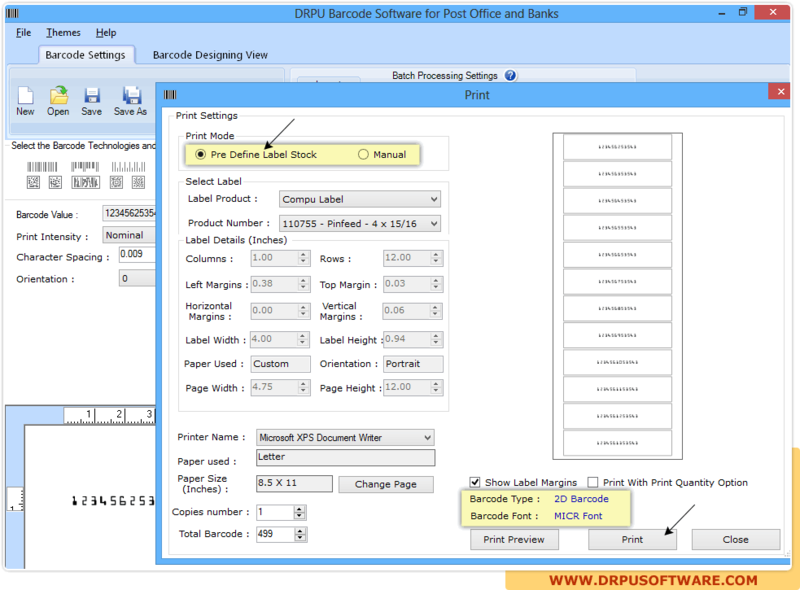 Choose any Linear or 2D barcode type as well as Font and select 'Batch Processing Settings' to print barcode labels using Barcode Header, Barcode Footer and Barcode Value. To print designed barcode labels, first Choose Print Mode either 'Pre Define Label Stock' or 'Manual'. 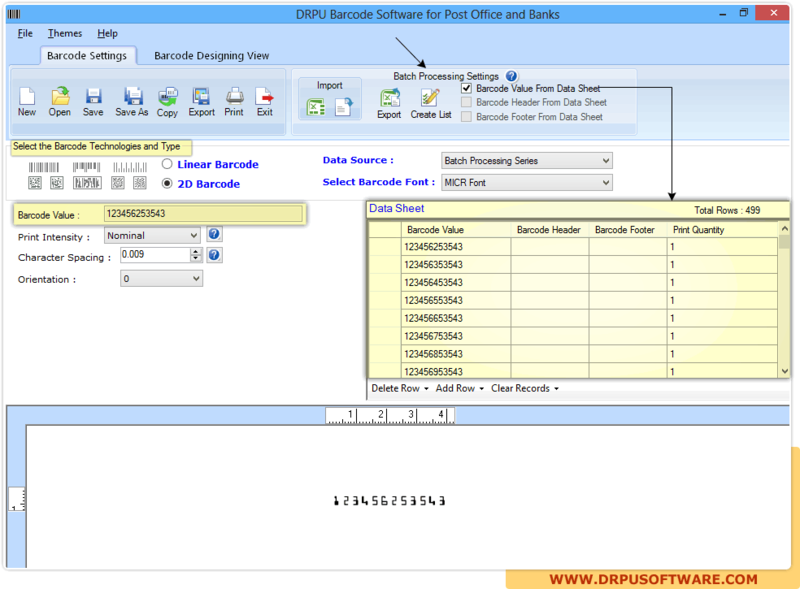 If you are choosing 'Pre Difine Label Stock mode' then you have to select Label Product and set other label details.